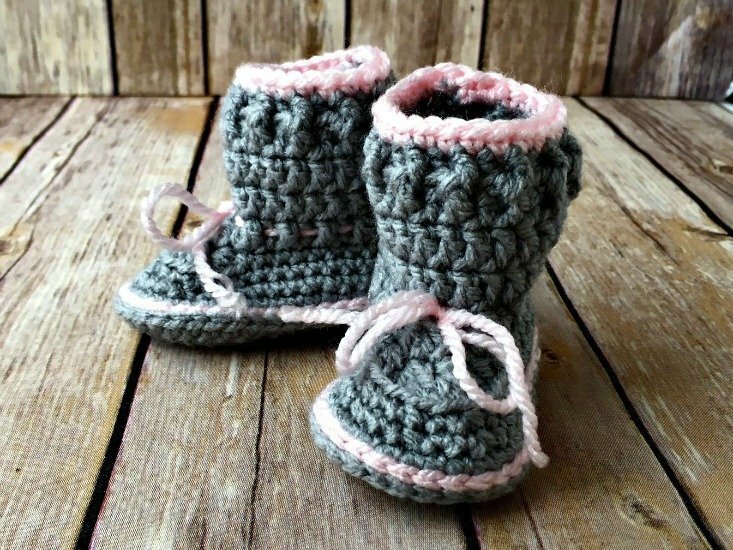 Spring Baby Boots - Free Crochet Pattern - love. life. yarn. Baby things are timeless, can be handed down as heirlooms, require very little materials, and are quick projects. They are also universally well-received by new moms. 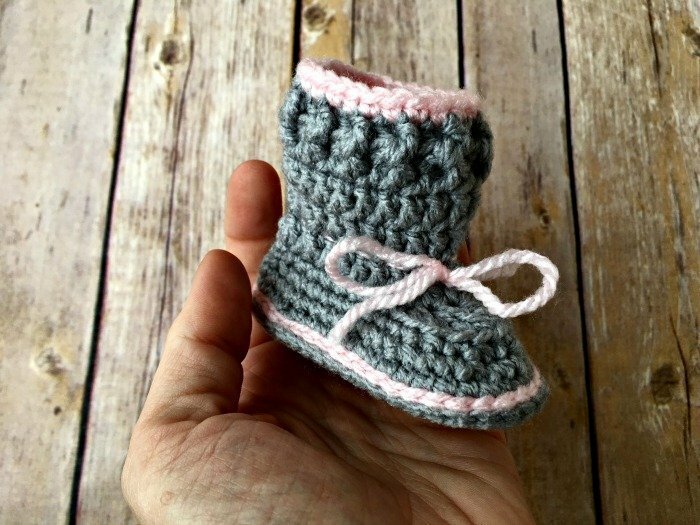 I love giving a pair of baby booties as a baby shower gifts – everyone always thinks they are so cute! I used to make them from others’ patterns but now I just love to design my own. Even if we decide not to have another baby (with three little boys already that is a real possibility!) I will still keep making baby things. There are always teachers at my school or other friends who are still having little ones to make them for. *New video showing sole construction from start to finish! Round 4: Ch 1, sc 11 (13), hdc2tog blo, (dc3tog blo) two times, hdc2tog blo, sc 12 (14) – 27 (31) sts. Round 5: Ch 3 (counts as dc), dc 11 (13), dc2tog twice, dc 12 (13) – 25 (29) sts. Rounds 6-8: Ch 3 (counts as dc), dc in each st around. Round 9: Ch 3, *fpdc, bpdc; repeat from * to last st, fpdc. Round 10: Join CC, ch 1, sc evenly around. Make invisible join for sc (see notes above). What do you think? 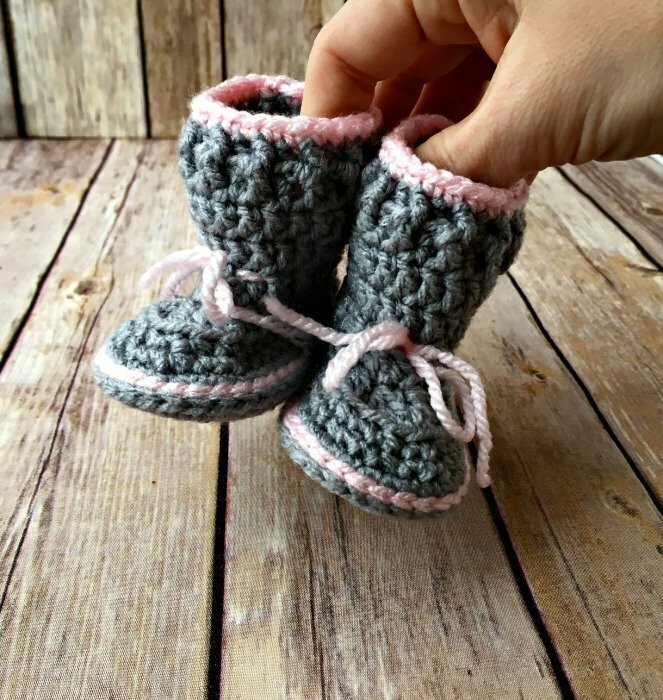 What are your favorite items to make for baby? Leave a comment below! Very interesting and very well done.. I am a little confused on round 4. The ending stick count does not match and then when you continue on to 5 it still does not match. Am I missing something? I’m not sure what is going on but sometimes the count gets off if you count the slip stitch as a stitch. How many sts are you ending up with? I have 33 stitches at the end of round three. If I do round 4 as written it requires 36 sts on round 3. If I change the dc3tog to dc2tog the hdc do not line up. I made an error on round four – it should be (dc3tog) two times. I have changed it in the instructions. That still shouldn’t give you 36 sts, though. That would only make it one stitch off. You sc 11, hdc2tog tbl (1 st), (dc3tog) two times (2 sts), hdc2tog tlb (1 st), and sc 12. Does that make sense? I’m not sure if it does! Hi, can you please tell me what blo means in round 4. I love this little boot, butI am having trouble with the rounds where you start with 3 chains- it leaves a fairly big gap- what am I doing wrong? Rounds 5-9. Hi Gail! Try not counting the ch-3 as a stitch and putting a dc in the same st. If that doesn’t work I would leave one of the ends that you are going to weave in longer and sew the gap closed. Round 4 does not work for the larger size . I tried multiple times and for round 3 my count was right . Is there something else that can be done ? Sorry it has taken me a couple of days to get back to you. I have looked at this several times, drawn it out on paper (which is how I usually figure any stitch counts that I’m not currently working on) and I keep getting the same number. How many sts are you off? Sometimes I forget to sc in the joining st and that might account for it if you are one off, but I can’t find a place where the math is wrong. I always double check because I can definitely make mistakes, but I can’t find one here. Let me know how it is going for you. Love this bootie! In row 9 what do fpdc and bpdc stand for? 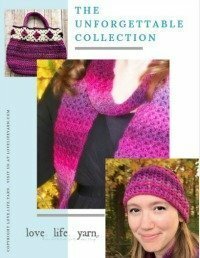 These are the abbreviations for front post double crochet (fpdc) and back post double crochet (bpdc). These are adorable and just what I need for a girl baby for whom I’m making a “hunting” set! My favorite baby item to make is bibs, especially animal bibs. I try to match the nursery theme. I also like to make loveys, matching the nursery theme. 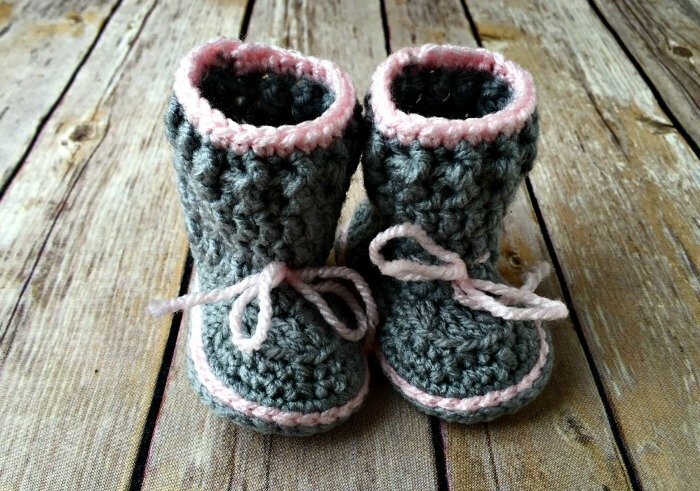 I LOVE these baby boots! They are super cute, and you provide really clear instructions that are easy to follow. Thank you for sharing your pattern. These come out beautifully. Hi, I’m doing the larger size bootie. I’ve joined the soles and did 47 sl around once I get to the row 2 it doesn’t add up at the end. 15 sc the sc2 sc2tog then repeat 3 more times ( I’m assuming that should be centered and its not) and I keep having more the 16 sts left. PLEASE HELP ME!